Out-of-this-world and outrageous are probably two of the best words to describe my latest and greatest cupcake creation. Cupcake Wars has always been one of my favorite shows and for years I’ve been inspired by the totally crazy, yet delicious looking cupcakes they create. 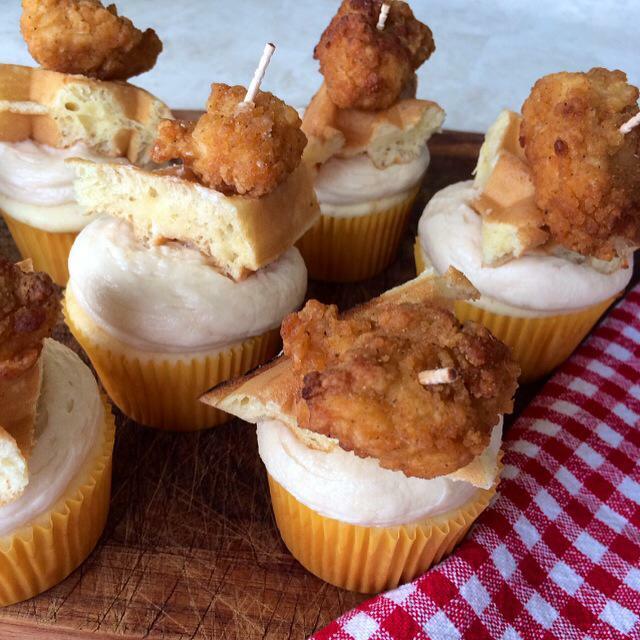 Inspired by a southern classic, I came up with a Southern Fried Chicken and Waffle cupcake. It’s a maple cinnamon flavored cupcake, with maple butter cream frosting and topped with a soft yet crisp buttermilk waffle, and with an extra-crispy, golden-brown piece of fried chicken. 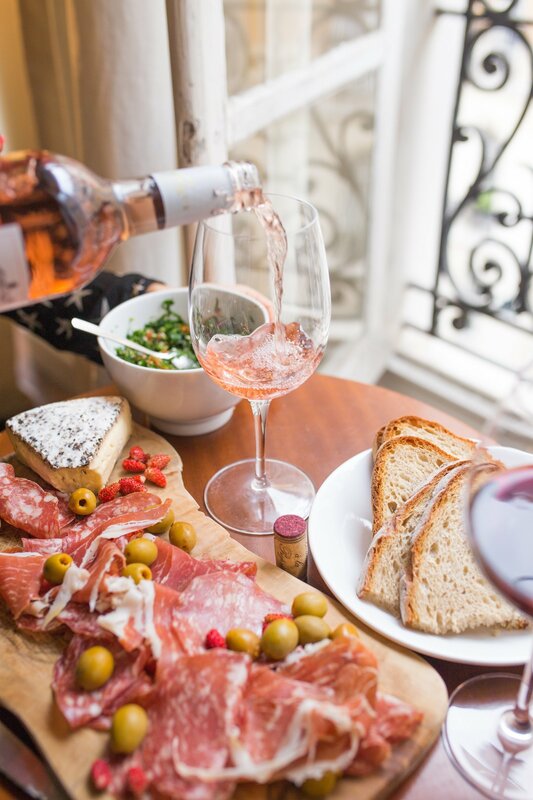 Between the salty and the sweet, the flavors all blend together seamlessly for the perfect treat. Whisk the flour, baking powder, cinnamon and salt in a bowl. Beat the butter and sugar in a stand mixer fitted with the paddle attachment on medium-high speed until fluffy, about five minutes. Beat in the eggs, one at a time. Beat in the vanilla and maple extract. Reduce the mixer speed to medium low; beat in half of the flour mixture, then all of the milk, then the remaining flour mixture until combined. Pour the batter into the muffin cups, filling three-quarters full. Bake 18 to 20 minutes, or until a toothpick inserted into the center of a cupcake comes out clean. Transfer the pan to a rack and let cool five minutes, then remove the cupcakes to the rack to cool completely. Cream butter in a stand mixer fitted with the paddle attachment on medium-high speed. Add the rest of the ingredients one at a time, and mix on medium-high until light and fluffy. If not stiff enough, add more powdered sugar. After cupcakes are frosted take a tooth pick and add a wedge of waffle and a piece of chicken. Place on top of cupcake.